Home to the University of Florida, with an estimated 2016 population of 131,591, Gainesville is the largest city in North Central Florida and one rapidly redeveloping into a walkable community. Named in honor of second Seminole War US Army commander, General Edmund P. Gaines, Gainesville was founded in 1854 to serve as the Alachua County Seat along David Yulee’s railroad line between Fernandina Beach and Cedar Key. In 1905, the passage of the Florida Legislature’s Buckman Act, consolidated existing publicly supported higher education institutions of the state, led to the city being selected as the location for the University of Florida (UF). This early 20th century decision transformed Gainesville from a rural community, 70 miles southwest of Jacksonville, into a quintessential college town. By the 1960s Civil Rights era, Gainesville had become a liberal city in the heart of conservative North Central Florida, known by many as “The Berkeley of the South”. Now home to one of the nation’s largest universities, the city is making considerable progress with the revitalization of its urban core into a genuine walkable mixed-use community. An early leader in implementing road diets, urban off-road shared use paths, and other complete streets strategies, current redevelopment is being driven by UF, mid-rise multi-family housing and the development of a 40-acre mixed-use project between UF and downtown called Innovation Square. 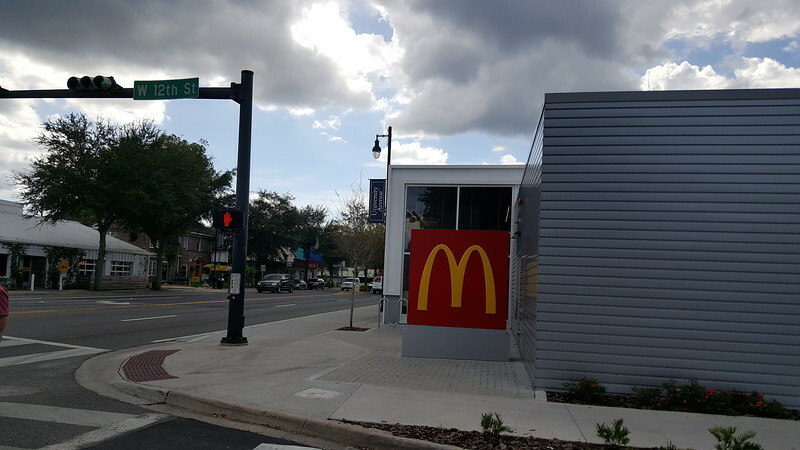 Even national chains associated with suburban strip mall development, such as Publix Super Markets, Target and McDonald’s, have embraced the city’s push for pedestrian friendly site design with their most recent investments, creating a pedestrian scale scene that is typically associated with much larger cities. 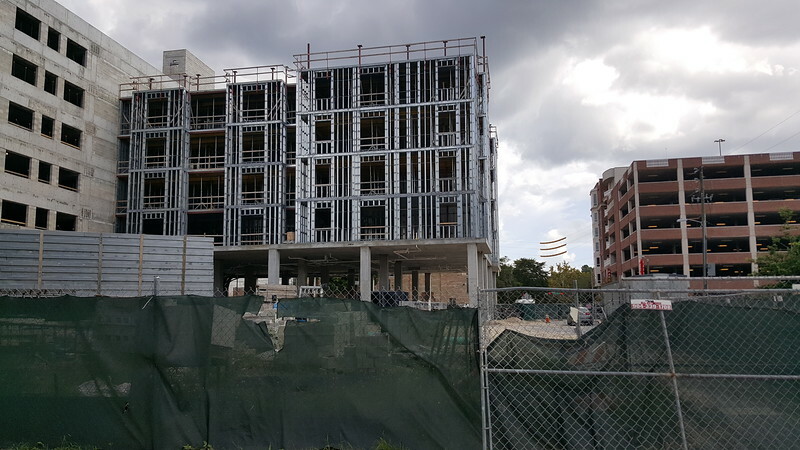 Home to a major university with more than 52,000 students enrolled in 2016 and a rapidly expanding medical center in UF Health Shands, don’t expect the densification of Gainesville to abruptly stop any time soon. Regardless, like many urbanizing college communities, how successful the city ultimately becomes in the future may significantly rely on its ability to seamlessly integrate new development with the preservation of its historic character and unique sense of place. 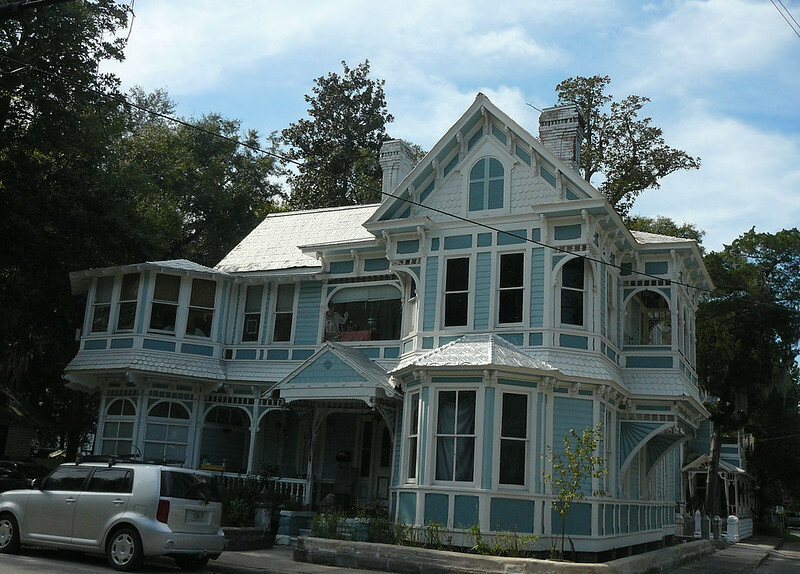 Even so, experiencing Gainesville’s rebirth in person is defintely worth serious consideration for any one interested in architecture, history, urban planning and stimulating economic opportunity in established neighborhoods.